Let Your Coffee Sign Decor Lure Customers Into Your Shop! If you want to attract customers to your coffee shop, make use of our coffee signs. 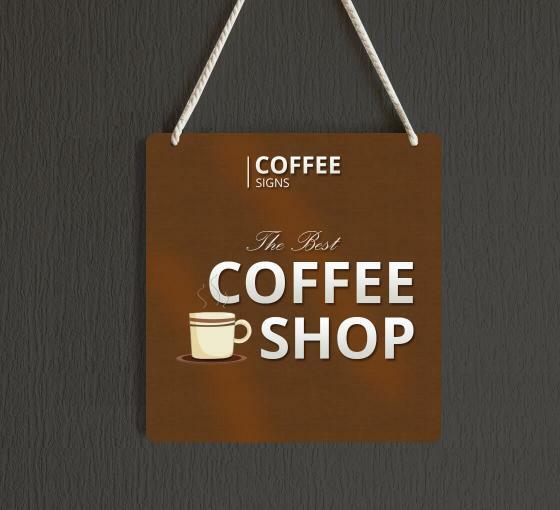 At BannerBuzz.com, we offer highly appealing coffee shop signs that can increase foot traffic at your shop. These custom signs are multi-purpose and can help you promote a new coffee blend available at your shop or to market a new deal. By choosing from a range of customization options, you can create a sign that is not only attractive, but also meets your brand's needs. From changing the design on the signs to the size and more, you have complete freedom over the customization process. At BannerBuzz.com, we design the highest quality coffee sign decor to ensure longevity. Our custom signs are made using premium materials that do not get damaged under the sun. So, if you choose to install these signs outside the store, you can be rest assured that your message is always looking great. Furthermore, the ink we use to print your design, message, and logo is UV resistant, which means that it doesn't fade under the sun. So, hurry up and order coffee signs from us and get them instantly delivered at your doorsteps.